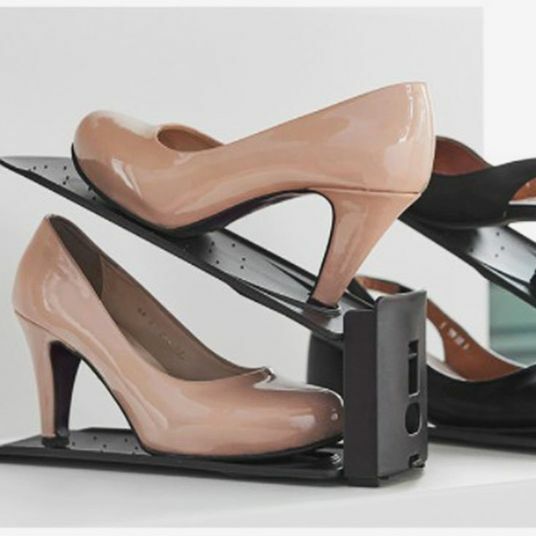 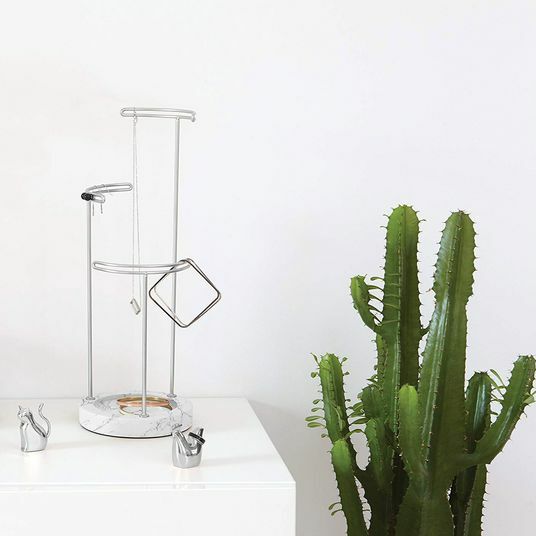 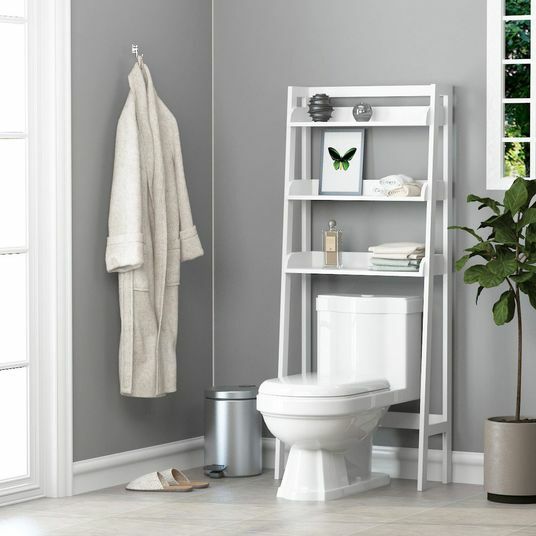 Our readers’ Shopping Cart this month was a clear sign that you were a fan of organizers, purely by the number of people who purchased this tiered Umbra accessory holder from our listing of cheap apartment finds. 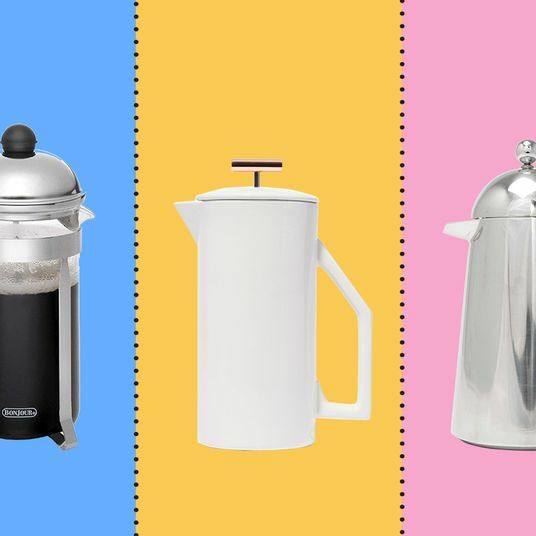 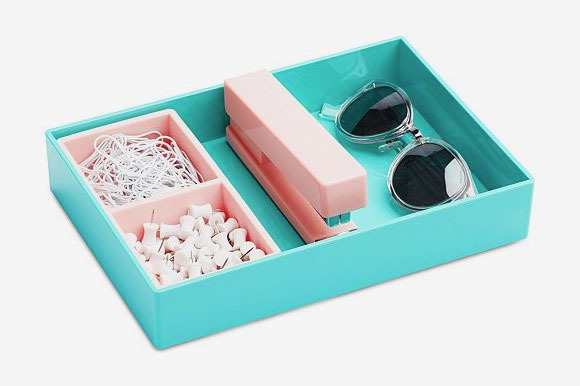 So, we went down a rabbit hole of organizers and catchalls to find some similar design-y, all-purpose goods to store your stuff, in case you were looking. 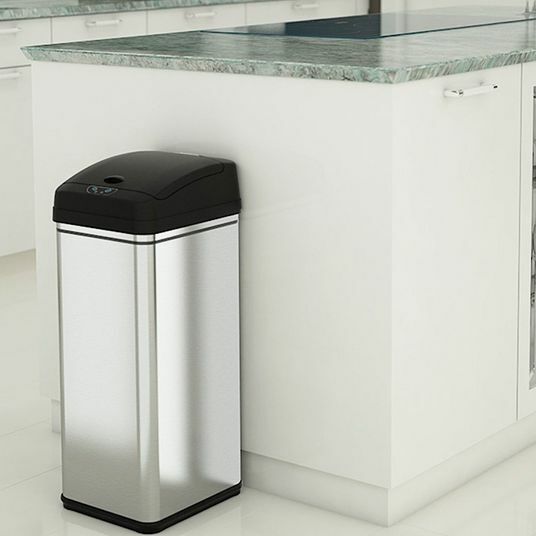 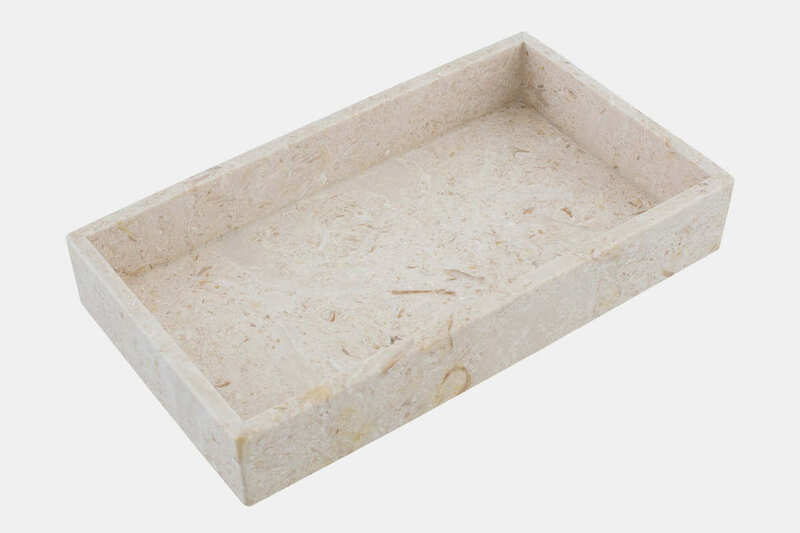 Here, even more organizers and catchalls on the internet, from smaller desktop options to countertop trays. 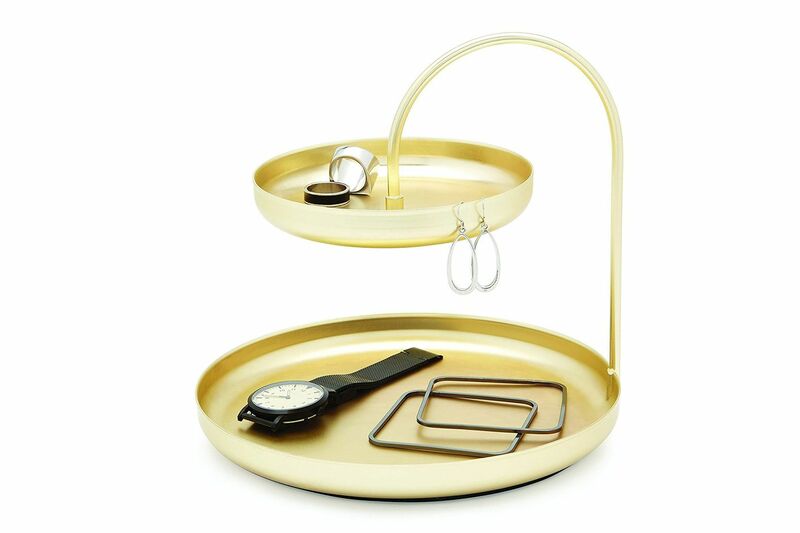 The matte metal catchall that started it all, from Umbra. 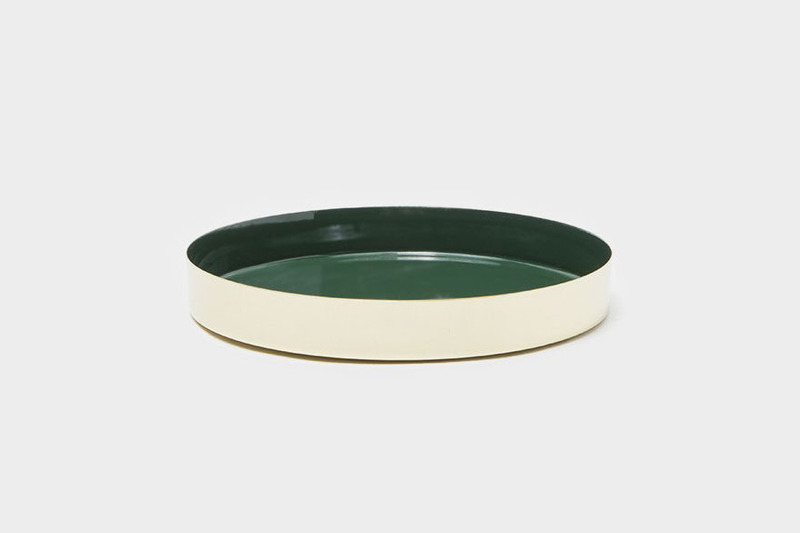 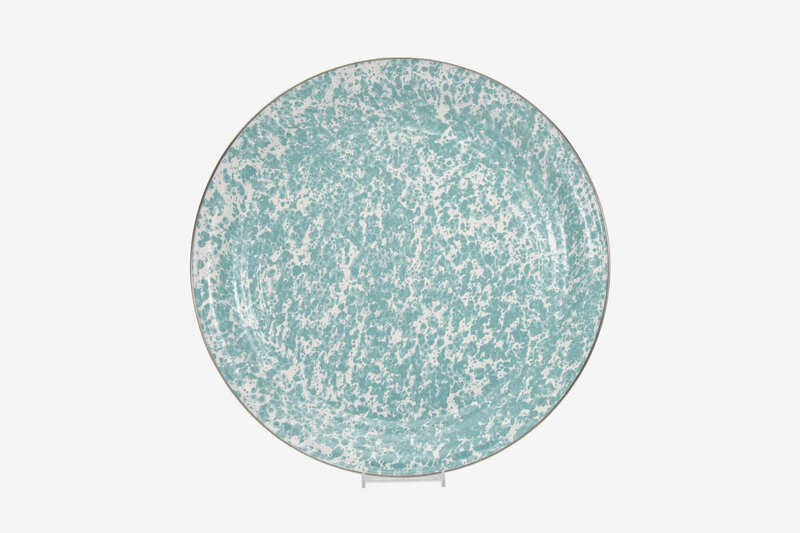 If you’re into the look of the Umbra, here’s a similar tiered catchall from Yamazaki that would set a clean backdrop for bodega fruits or assorted odds and ends. 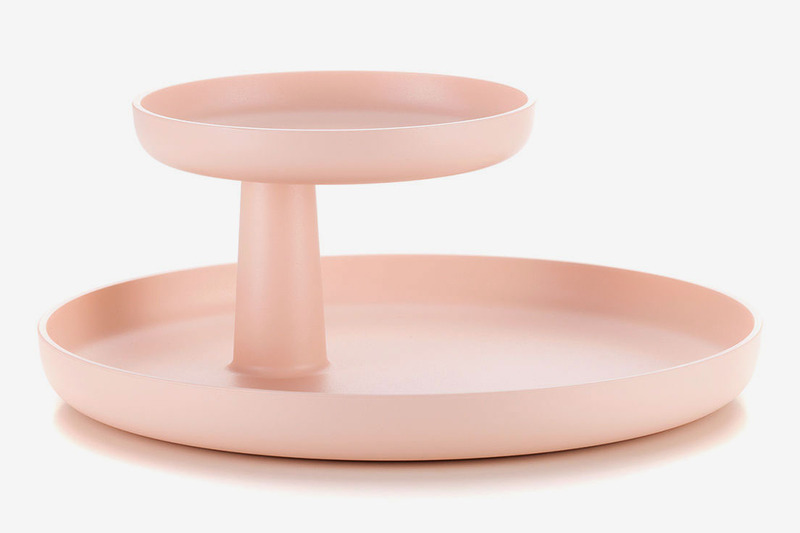 Jasper Morrison’s take on the tiered organizer comes in a dreamy shade of millennial pink, plus powder blue, and white. 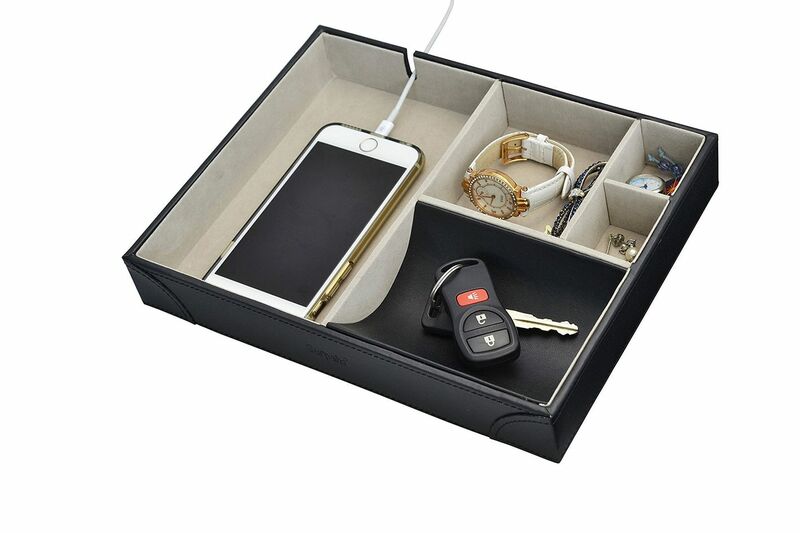 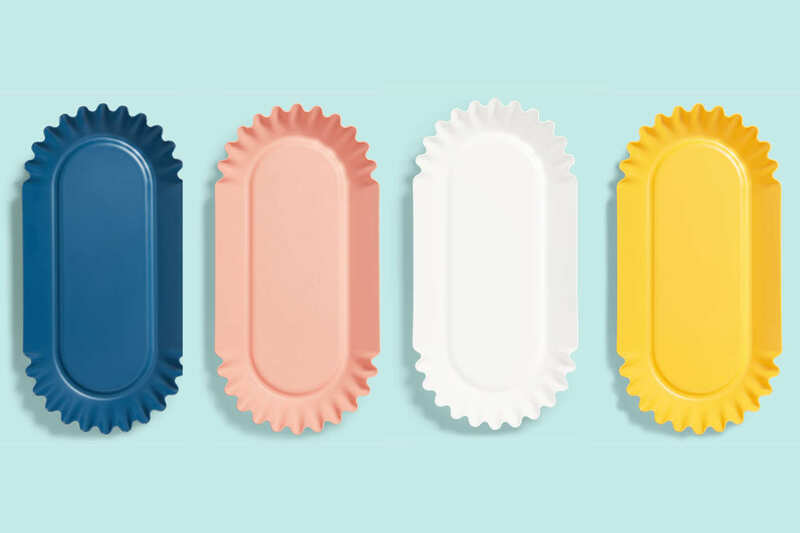 It’s described as a serving tray, but would look nice on a vanity table with perfumes and jewelry inside, or even as a dish for your keys and mail in an entryway. 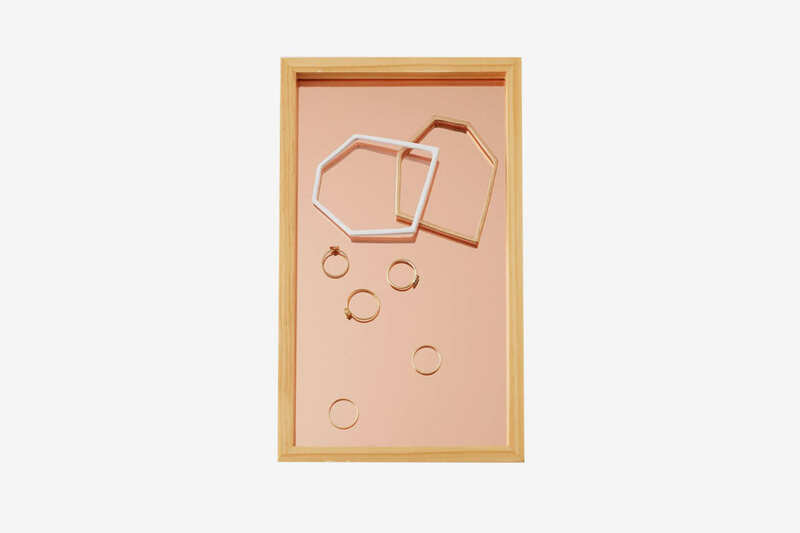 A glass-and-wood tray to display your jewelry and rings. 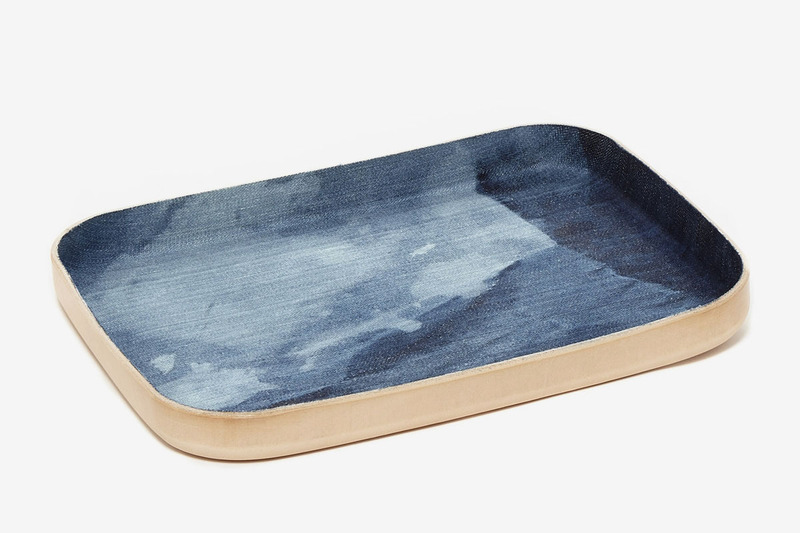 A larger decorative tray made with treated denim and vegetable leather that could house your plants, decanters of liquor, or glasses. 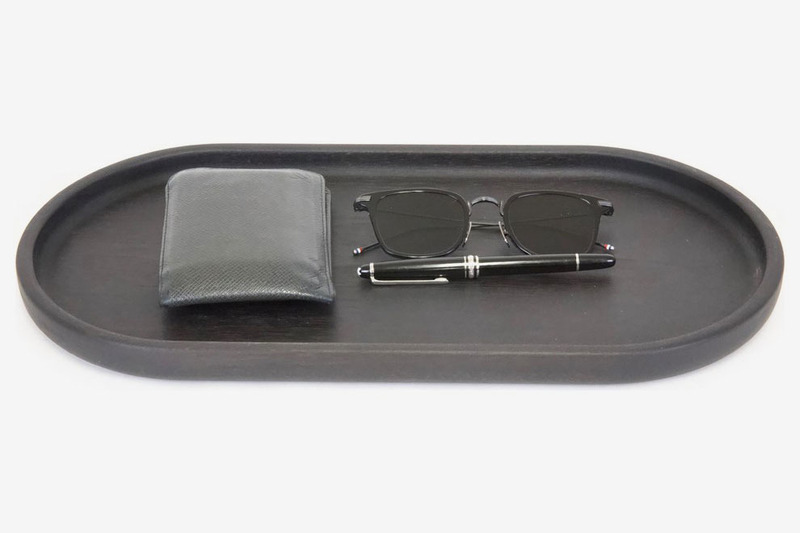 A curved, pill-shape tray in slate gray for minimalists. 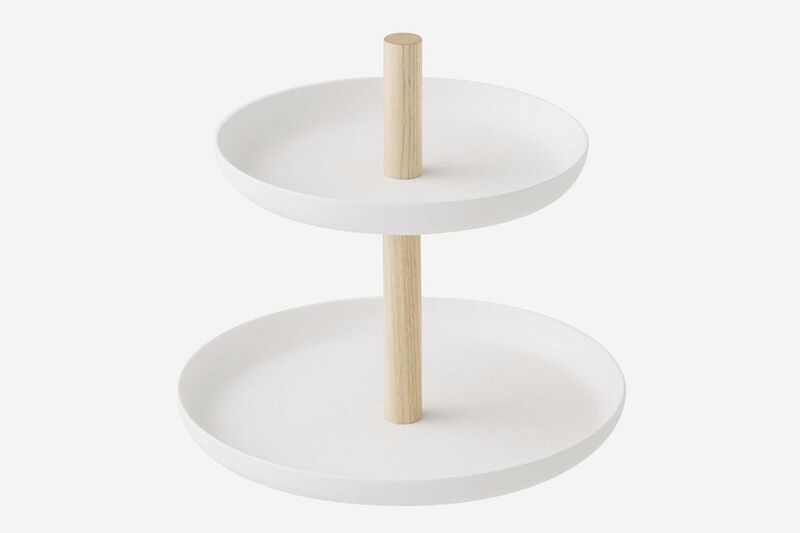 For those who prefer the marble look. 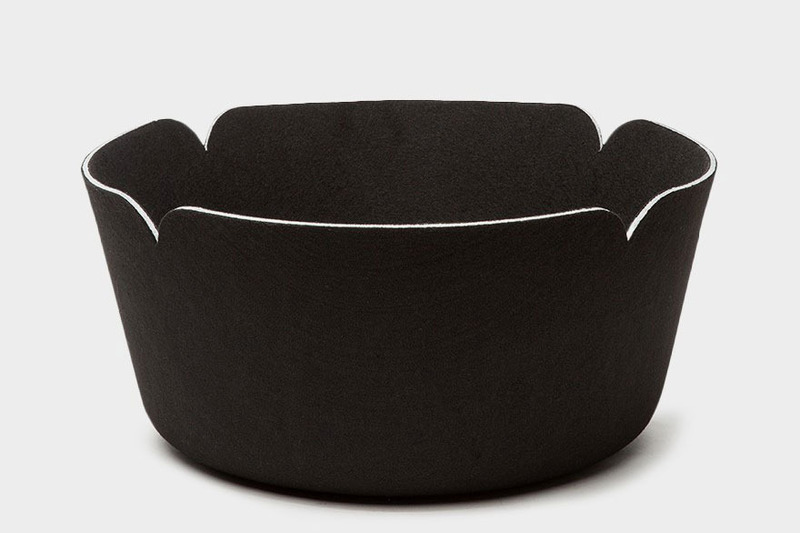 This one comes with a detachable cup that you could slide into the raised pit inside or use separately. 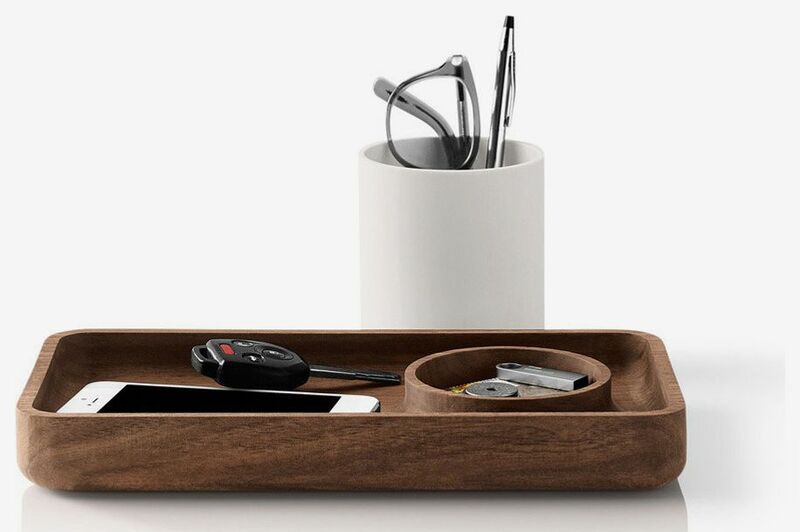 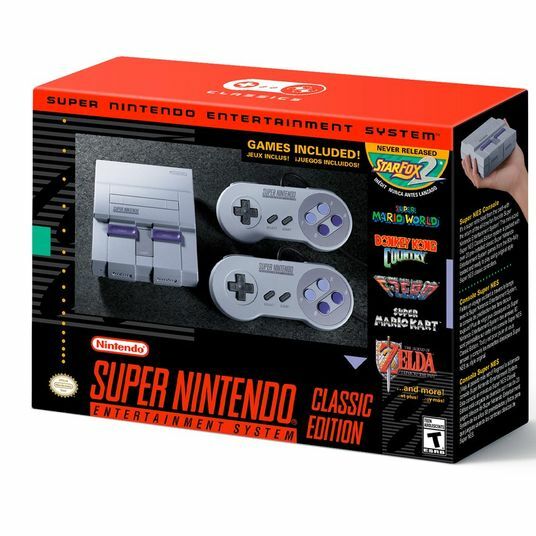 Incidentally, it would make a handsome desktop accessory. 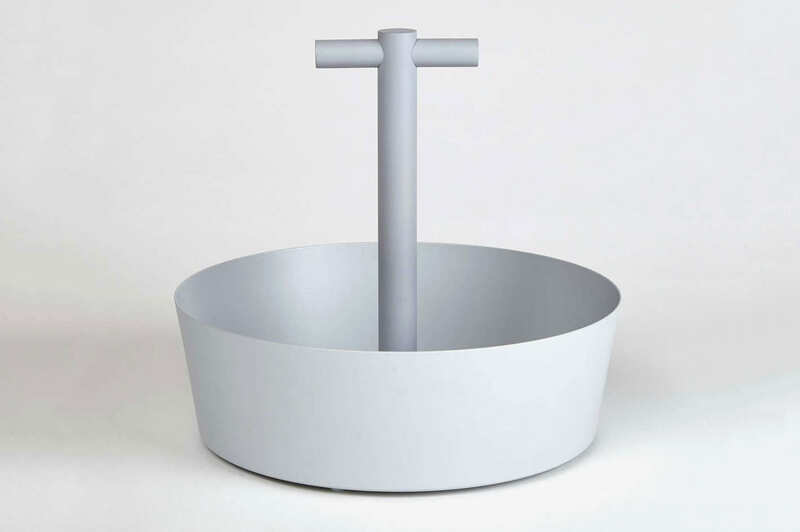 A bowl-shaped catchall from Good Thing that comes with a handle for easy portability. 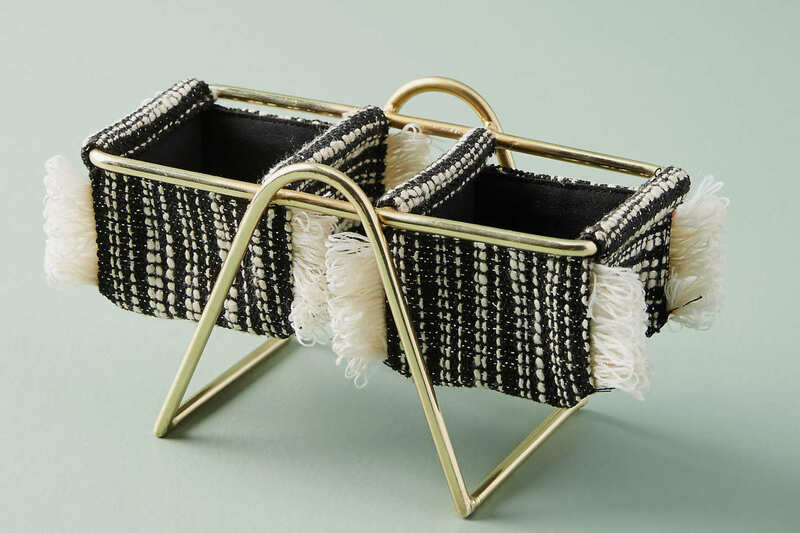 The wide opening of this woven basket means that it could store a lot more (though it’s also available in a stackable three-piece set of small, medium, and large baskets). 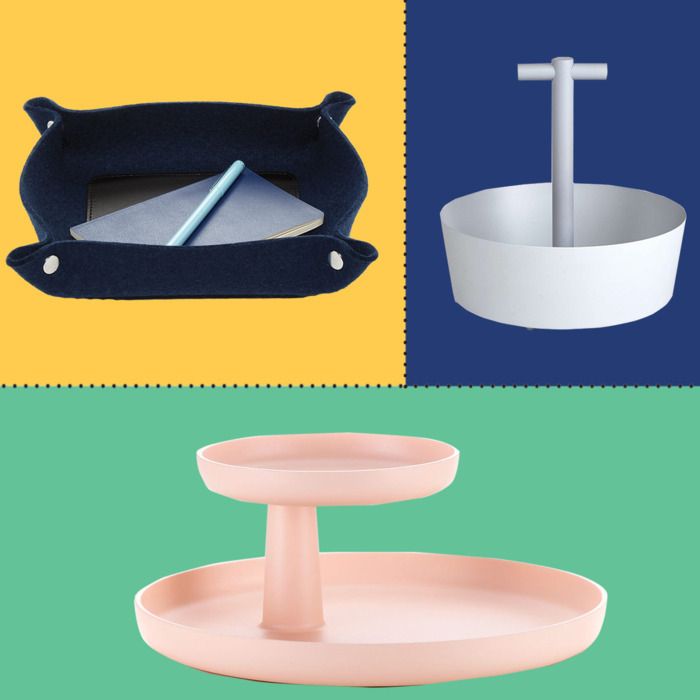 A petal-shaped basket for fruit, or a nicer way to store your stuff. 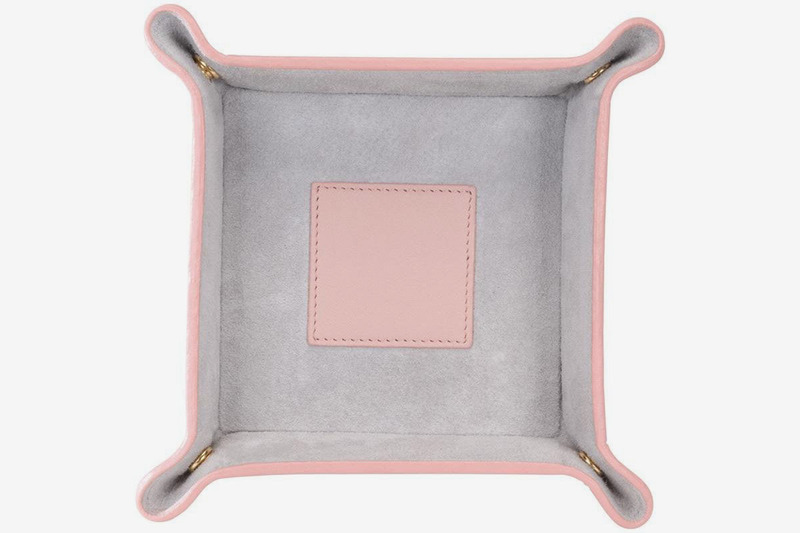 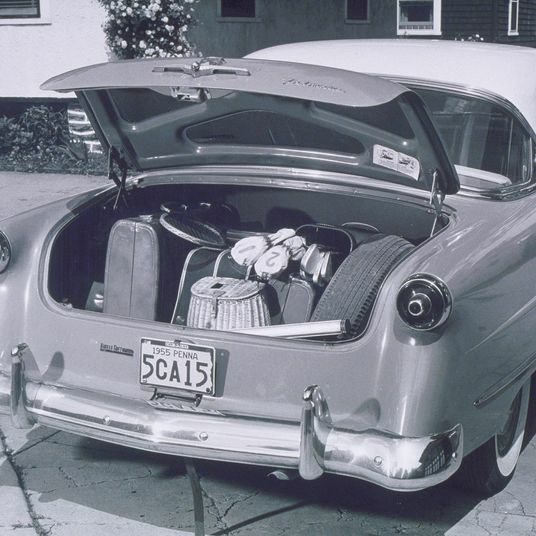 Here’s a no-frills, millennial-pink valet tray lined with suede. 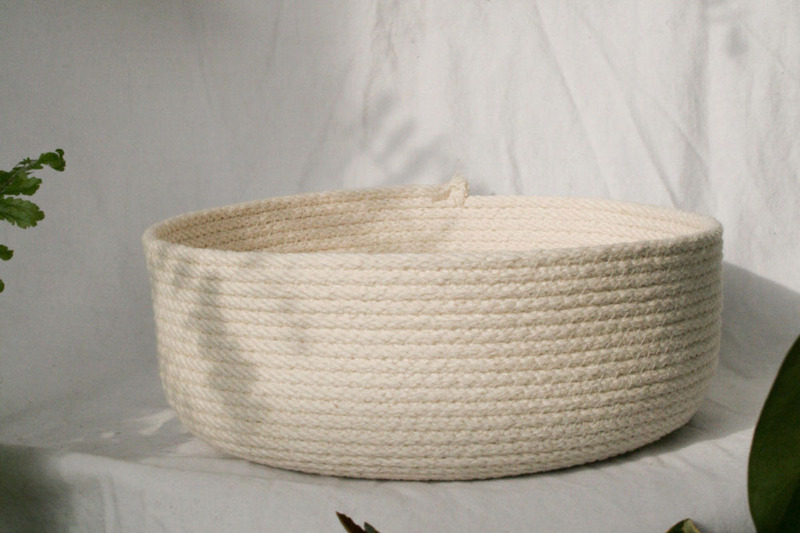 This woven catchall would be an attractive way to gather pins or loose change on a desk. 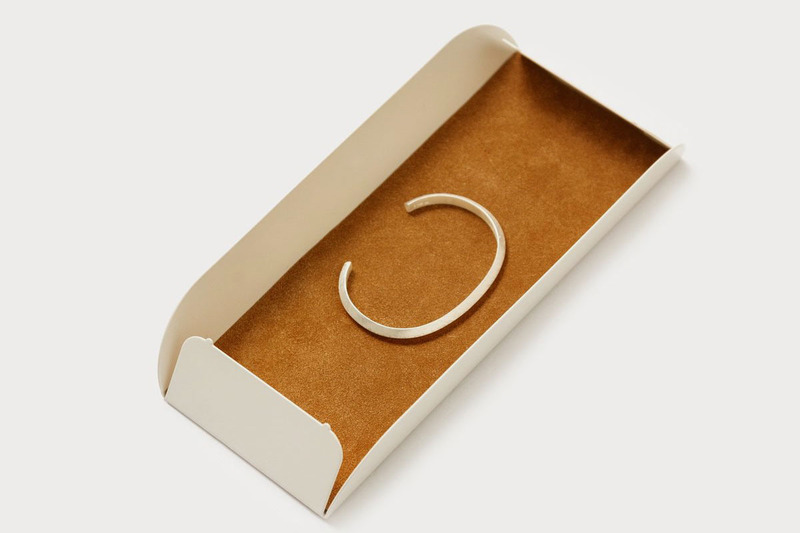 A very chic miniature tray that would make any piece of jewelry look like a museum find. 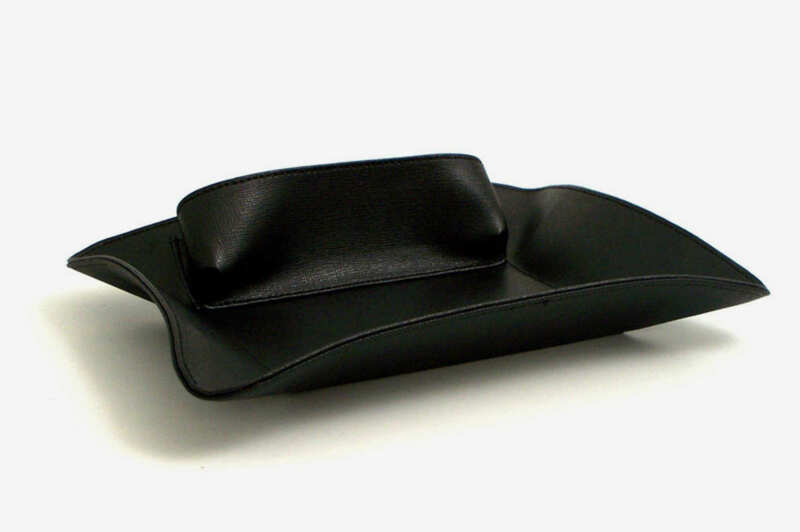 For the person who’s into that raw-leather look. 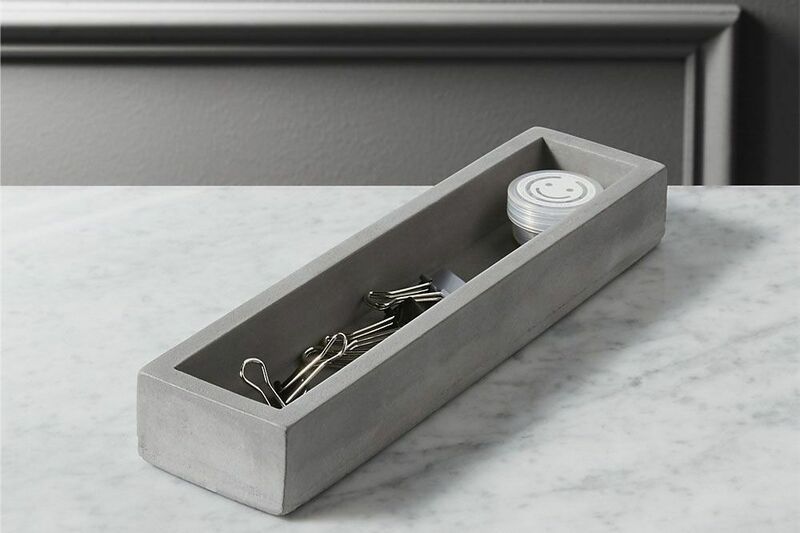 Or an industrial take on the desktop tray that you could throw all of your safety clips and pens into. 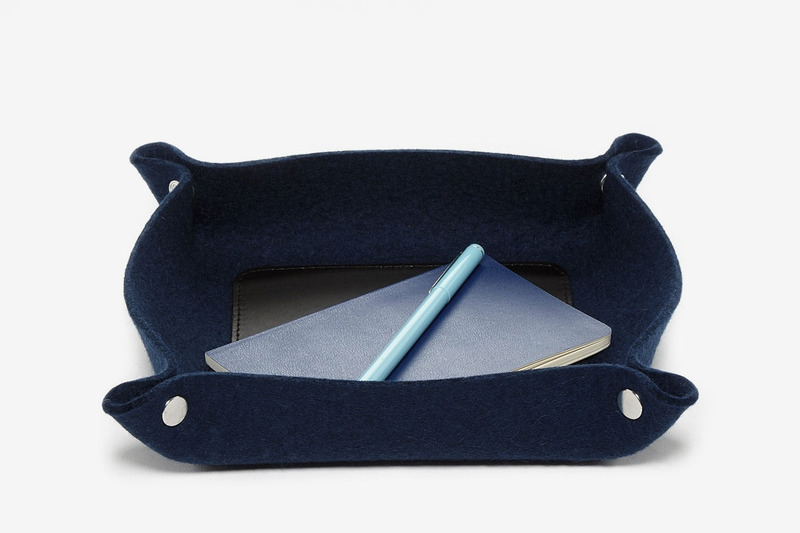 A collapsible way to house your odds and ends, in German merino-wool felt. 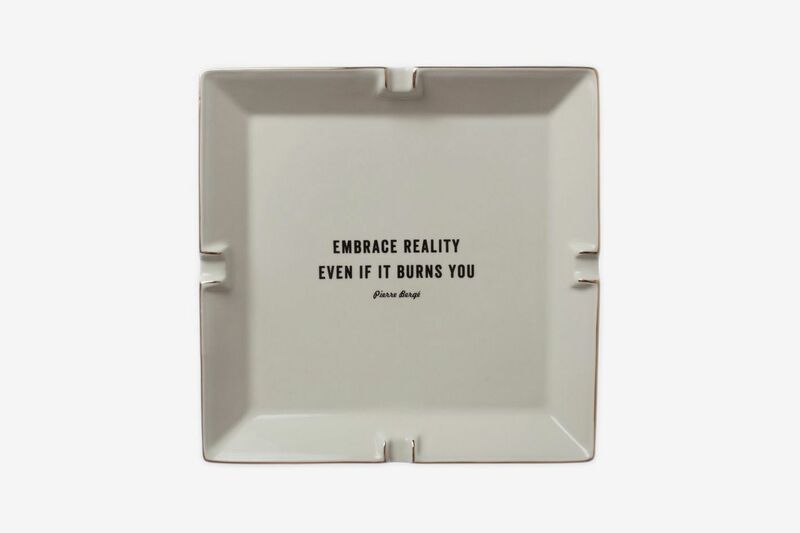 And in case you need a catchall with some daily inspiration, here’s one with an aphorism from Pierre Bergé (find more with quotes from Mark Twain and Gertrude Stein here). 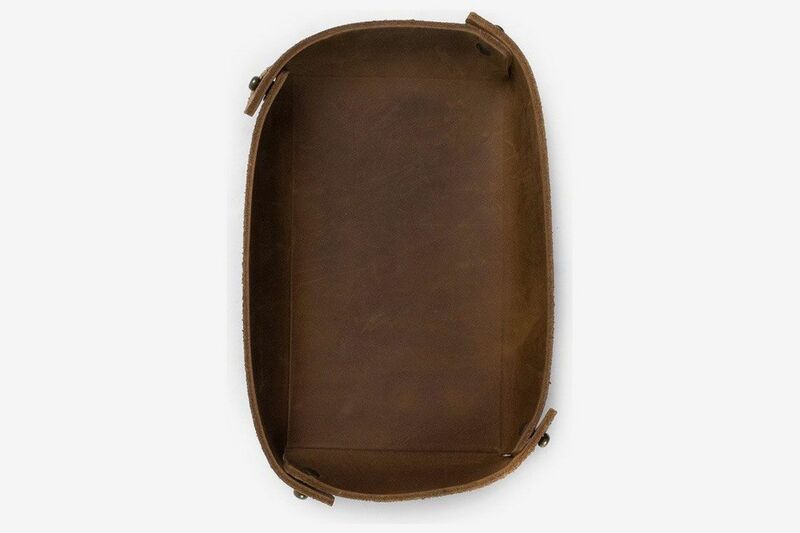 A sculptural, molded-leather catchall that’s its own work of art. 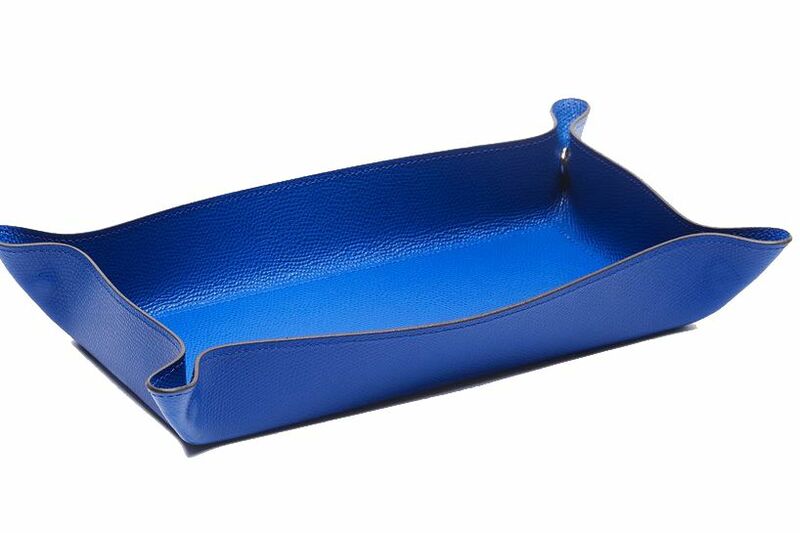 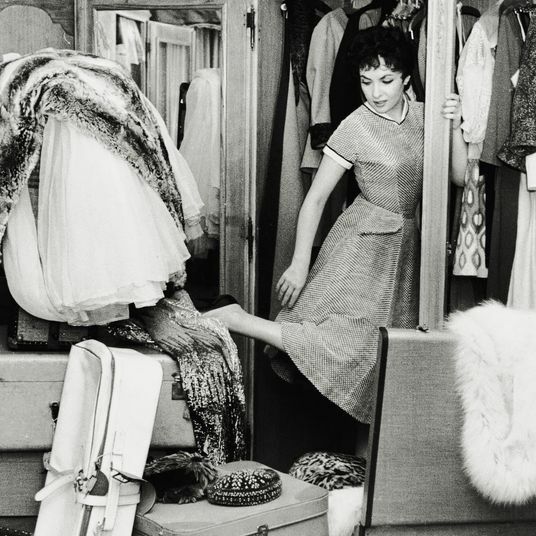 Dear Wendi Mc-C: How Do I Organize My Rat’s Nest of a Purse?